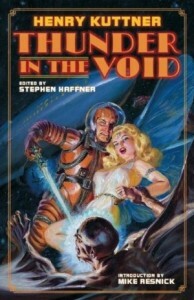 Steve Haffner, The Big Poobah of Haffner Press, has slashed the price on seven unique collections of great sf in a special sale lasting through August 6. The magnificent seven authors who wrote or edited these works are back in the spotlight thanks to fresh reviews or Retro Hugo award nominations. Haffner is offering the following seven titles at a 40% discount until August 6, to those who buy a minimum of four books per order (you may order multiple copies of the same title). Shannach – The Last: Farewell to Mars by Leigh Brackett (introduction by Anne McCaffrey). 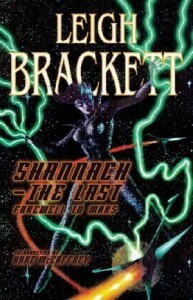 Brackett was inducted into the Science Fiction Hall of Fame in 2014. And she was a topic of author Howard Andrew Jones’ blog. The Universe Wreckers, The Collected Edmond Hamilton, Volume Three. 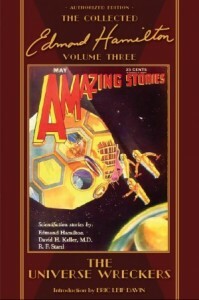 Edmond Hamilton’s effort, Reign of the Robots, was reviewed in the September issue of Asimov’s. Hamilton’s comic book work was highlighted in Back Issue #74. 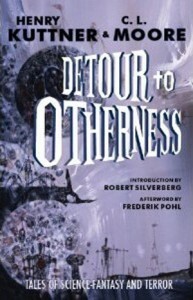 Detour To Otherness by C.L. Moore & Henry Kuttner (foreword by Frederik Pohl; introduction by Robert Silverberg). Moore’s Judgment Night was blogged at SF Mistressworks. Thunder in the Void by Henry Kuttner (introduction by Mike Resnick). 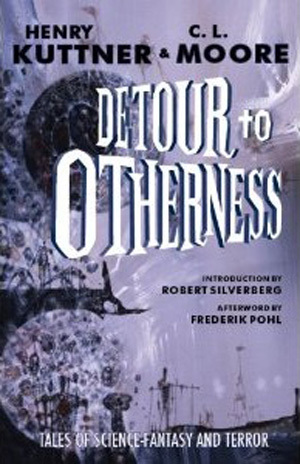 Kuttner’s “The Time Trap” is up for a Retro Hugo Award (and is available in this collection). 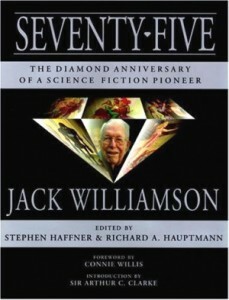 The Worlds of Jack Williamson: A Centennial Tribute (1908-2008) by Jack Williamson. 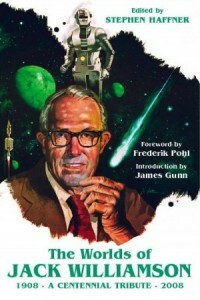 Edited by Stephen Haffner, (foreword by Frederik Pohl, introduction by James Gunn). Tales From Super-Science Fiction edited by Robert Silverberg. 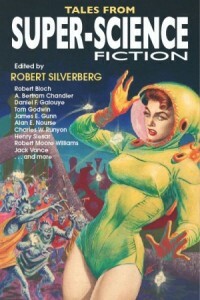 Super-Science Fiction, launched during one of the cyclic sf booms of the 1950s, was notable for paying 2 cents a word, then a top rate — enough to lure contributions from legendary pros like Isaac Asimov, Robert Bloch, Jack Vance, and newcomers on their way to being famous like Harlan Ellison and Donald Westlake. Shipping via Media Mail is $2.00 per book. I’ll note for the historical record that the cover art for “The Worlds of Jack Williamson: A Centennial Tribute (1908-2008)” was first used as the cover for the souvenir book for Suncon, the 1977 Worldcon where Jack was GoH. Re: Williamson-Suncon artwork: When I secured permission from Vincent Di Fate in 2007 to repurpose the image, he said that he was never paid for the artwork and had no idea where the original could be found. Happily, Jack’s estate provided a heavily sun-faded print that used to hang in his study over a shelf of his awards. A professional retouch in Photoshop and the image was ready to go. 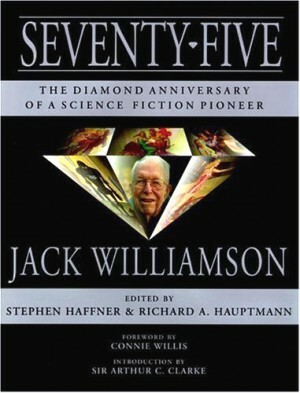 Flash forward to the Windy City Pulp and Paper Show in 2012: Naomi Fisher walks past my dealers’ table and, looking at WORLDS OF JACK WILLIAMSON, says: “Oh, I have that painting.” “Is it for sale?” I ask. Needless to say, the painting now rests at Haffner Press’s Secret Moon Base. Many thanks to Mike Glyer for posting the info on this offer. The sale ends tonight at Midnight. Thanks to all who took advantage of the sale and I hope you enjoy the books.